Daniel G. Quackenbush established Quackenbush & Associates, Inc. (Q&A) in 1997. 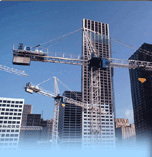 Q&A is a construction consulting firm specializing in construction claims analysis and presentation. "Shattering the 'Windows Schedule Analysis' Method"
Provides expert testimony at arbitration and trial.